Srinagar: Public and private hospitals in Peshawar in Pakistan have reserved beds and ambulances after government’s directives to stand alert for ‘national cause’, a reference to the tension with India. On February 22, health department ordered hospitals to reserve 25 per cent beds on a special directive of government for ‘national cause’. “The institutions have been directed to reserve a minimum of 60 beds and the department should be informed immediately the same day,” it said, Dawn reported. The directive was issued day after the National Security Council held a meeting with prime minister in the chair on February 21 to examine the country’s overall security situation in view of tension with India. Health Secretary Dr Syed Farooq Jamil told Dawn that he was not concerned if the order was issued in view of tension with India, but the hospitals were well-equipped and staffed to cope with any health emergency. “Our hospitals in immediate response have reserved beds and other services in line with the directive came from the centre,” he added. He said that their hospitals had vast experience of providing treatment to war victims from tribal areas as well in Khyber Pakhtunkhwa. The 520-bed Mardan Medical Complex was first to show preparedness for any mass emergency and informed the health department that two ambulances of its total seven were reserved for the national cause. 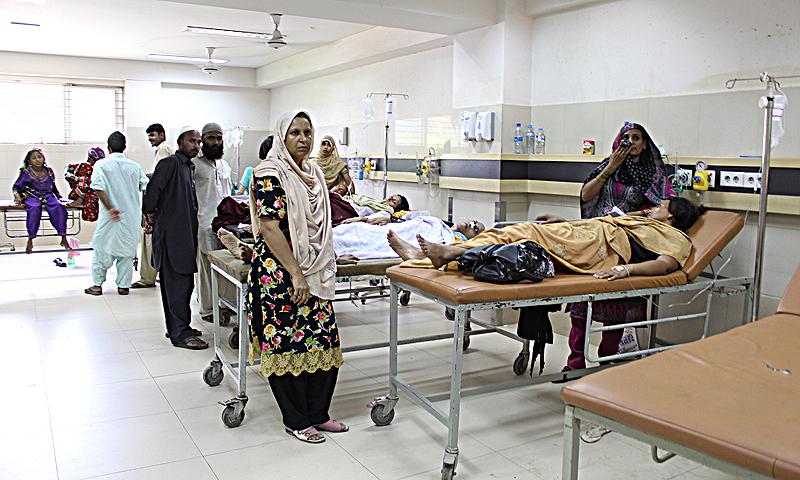 “We are well prepared to manage any national disaster,” Dr Tariq Mahmood, the hospital director of MMC, wrote to the health department. Similarly, all major hospitals complied with the health department’s directive. The health officials said that in case of emergency all hospitals would be at the disposal of army but for the time being only big hospitals were directed to get prepared. A senior consultant at one of the tertiary care hospitals said that the directives were meant to know about the available resources and level of preparedness in case of war. “Our province had been receiving victims of violence for the past 15 years. We have accident and emergency departments at all the district headquarters and teaching hospitals to cope with injuries,” he added. The consultant said that standard of emergency treatment at LRH had been very high. “LRH is the only public sector hospital in the country which imparts postgraduate training to doctors in trauma and emergency. Our doctors are invited to Europe to deliver lecture on trauma management because we have treated thousands of wounded people from the sites of suicide and bomb attacks,” he added. Burn, Truman and Plastic Surgery Centre at Hayatabad Medical Complex is another recently established facility to offer services to the people in case of war. A proforma has also been dispatched to hospitals to ascertain information about their infrastructure, including beds, ambulances etc. Azar Sardar, the head of Healthcare Commission, said that directives had also been communicated to private hospitals from where the response was overwhelming. “We have asked all 200-hospitals to allocate 25 per cent of its strength for the national cause. They are capable of coping with health-related emergencies,” he added.